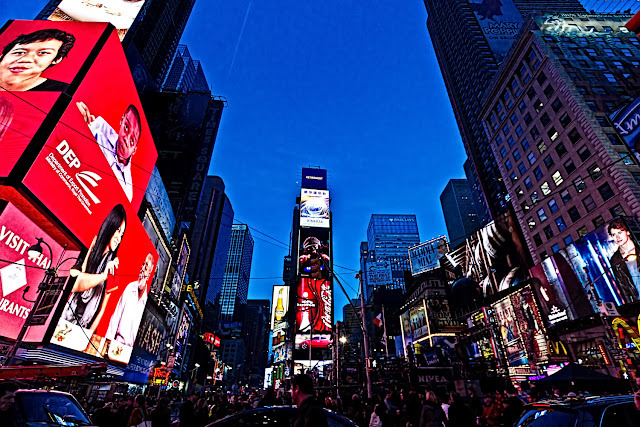 Times Square on Dec. 30th 2011. A day later, you would not have gotten anywhere close at that hour. Good that we came by a day before! In the back you can already see the staging for the New Year's party. The light was just wonderful that evening with clear skies and the blue tone.